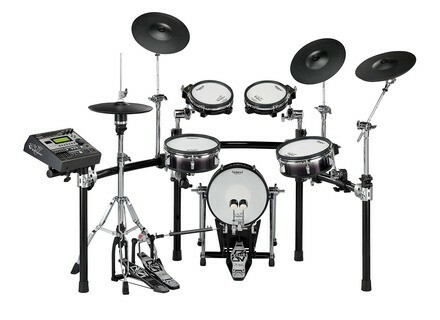 TD-12KX, Electronic Drum Kit from Roland in the TD series. 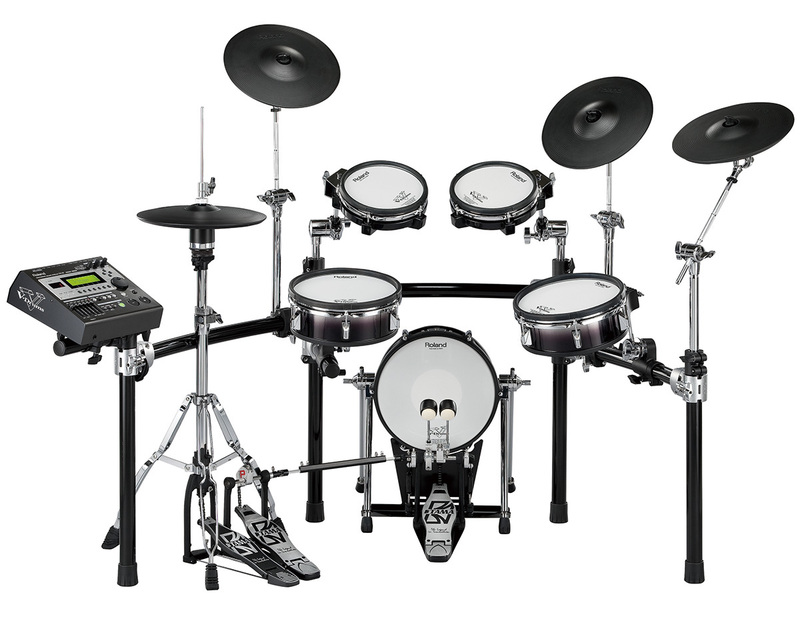 Roland announced the TD-12KX, the latest addition to its V-Stage family of V-Drums kits. The TD-12KX builds on the feature set of the popular TD-12SV kit, adding a larger kick, floor tom pad, and a new stand with improved pad mounts and durability. The TD-12KX features Roland's multi-layer mesh heads for the kick, snare and tom pads. The TD-12KX includes a larger 12" KD-120 V-Kick Trigger Pad for the bass drum and a 10" PD-105 floor tom pad for the floor tom. The TD-12KX also comes equipped with a VH-11 V-Hi-Hat and three 12" CY-12R/C V-Cymbals. The brain of this newest V-Drums kit—the TD-12 Percussion Sound Module—features the same COSM sound engine as the TD-20. Editing sounds is supposed to be easy on the TD-12 thanks to V-Edit, which allows drummers to adjust parameters, such as shell material, head type and cymbal size with a simple icon-based graphic interface. [NAMM] Cympad Optimizer Series Cympad has announced the expansion of its popular product line with the introduction of several new innovations for 2010. [NAMM] Pearl E-Kit Pearl Corporation's new E-Pro Live is an electronic drumset that looks, feels, and sounds like real drums, according to the company. [NAMM] Korg WaveDrum Korg offers the next-generation WAVEDRUM Digital Percussion Synthesizer.